REFX Nexus 2 tips and tricks. If you own RE-F.X’s Nexus 2 then we’ve got some fast pro tips to help you get more out their super rompler. Hit the RE-F.X. logo in the bottom right hand side, you’ll now see some config options. If your computer can take it, why not set the playback quality to Ultra too ? Hit the Sys button then you’ll see the quality setting on the left side. If you stumble upon, say, a sequence sound but you only like some part of it, not of all it, then not to worry. Hit the Mix option, then head over to Lay (or Layer). Now you’ll be able to mute parts of the patch, adjust volumes, pan, even alter effects of each of the component sounds that make up the patch. This is incredibly powerful, in that you’re now gaining access to hundreds of new patches. Another cool feature is the dial in options you can add to your patches. Hit Mix again, now you have two insert effects, where you can choose the effect type as well as effect patches. You can also change master effects here too. Experiment with changing out the effects, their presets and the amount you dial in. 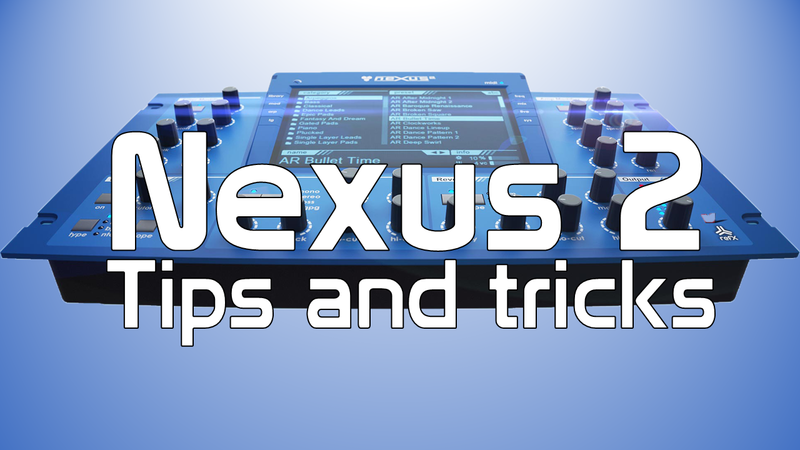 We hope you find these tips useful and will help you get more out your awesome Nexus 2 Rompler. Don’t forget to hit subscribe, and if you did find this useful, share the video with your friends.